Just as the cordless drill completely changed working practices within the building industry, so the battery-powered Te Pari Revolution Dosing Gun is changing things within agriculture. Dosage is set on the digital keypad and then delivered via an easy-pull trigger. The well-balanced design fits comfortably in the hand. Overwhelmingly, farmers who have tried this new technology have reported how easy and quick it is to use. With the G10 Standard model the dose is set using the digital keypad. This unit can be upgraded to the Smart model G20 at a later date. The optional 14ml Barrel can also be fitted to this gun for injecting. The Electronic Dosing Gun system that is redefining animal treatment! 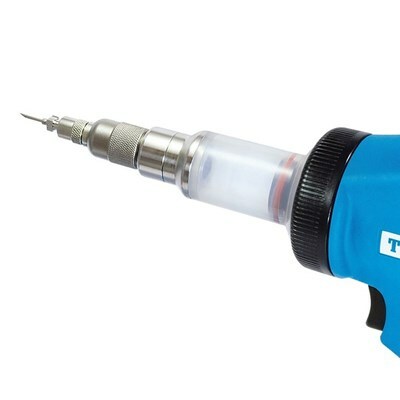 The cordless drill totally changed working methods in the building industry and now the battery-powered Te Pari Dosing Gun is set to do the same in agriculture. The correct dosage is set on the digital keypad then delivered via an easy pull trigger. The well-balanced design fits comfortably in the hand. Overwhelmingly, farmers who have been using this have noted that it is really easy to use and that it cuts down significantly on dosing time. The G20 Smart Gun, when combined with the Te Pari Scale indicators, creates an integrated animal management system. The Te Pari Scale calibrates the appropriate dose and transmits it wirelessly straight to the Te Pari Dosing Gun. The optional 14ml Barrel can also be fitted to this gun for injecting. 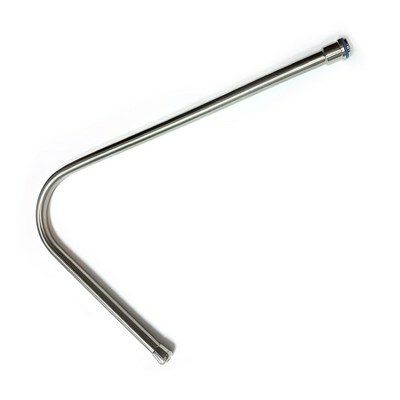 This upgrade provides a 14 ml barrel for the Te Pari Revolution Dosing Gun. Fitting this is straightforward with step-by-step onscreen instructions. 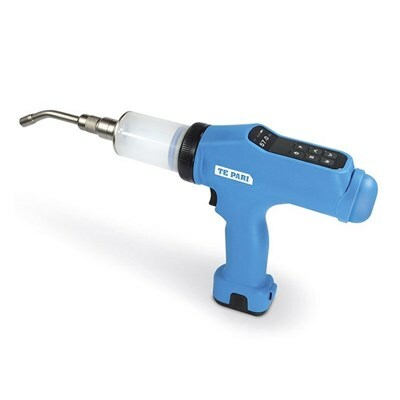 When using this 14ml Barrel the Revolution Dosing Gun can be used for injections, T bar, and drenching applications. The Te Pari Revolution Injector is a high-workload, battery-powered, easy-to-use, hand-held and fully portable device. It allows accurate delivery of injectable medication across a variety of species. It is light and portable and an entire herd or flock can be injected quickly and efficiently. As standard the gun is supplied with a 14ml barrel, small drenching nozzle and the injector nib combined with a handy carrying case. The optional 70ml barrel can also be fitted to this gun for drenching and pour-on. The V10 Standard model is manually calibrated on the digital keypad and includes a range of smart features. The Te Pari Revolution Injector is a high-workload, battery-powered, easy-to-use, hand-held and fully portable device. It enables accurate delivery of injectable medications across a variety of livestock species. It is light and portable and an entire herd or flock can be injected quickly and efficiently. 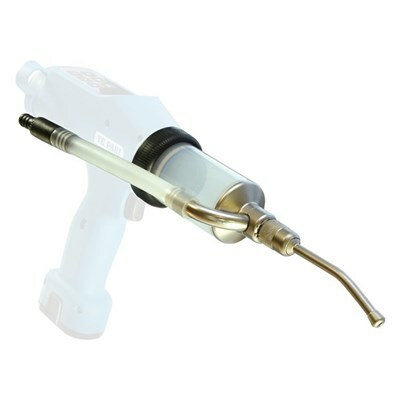 As standard the Gun has a 14 ml barrel, small drenching nozzle and the injector nib combined with a handy carrying case. The optional 70ml Barrel can also be fitted to this gun for drenching and pour on. When combined with the Te Pari Scale indicators it creates an integrated animal management system. The Te Pari Scale calibrates the dose rate and transmits it wirelessly directly to the Te Pari Dosing Gun. 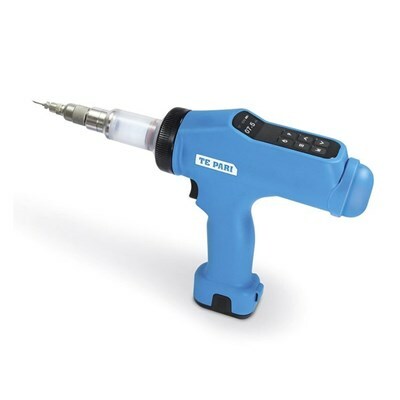 The Te Pari Dosing Gun is the world's first battery-powered, electronically-calibrated dosing gun. It is designed to make light work of your drenching, pour-on and injecting tasks. Just set the dosage rate on the digital screen and gently pull the trigger to apply exactly the dose you choose. Use it as a standalone Powered Doser or connect it to the Te Pari Scale System for auto calibration. Don’t put up with cramped hands anymore.